Mech-Q supports these CAD applications. 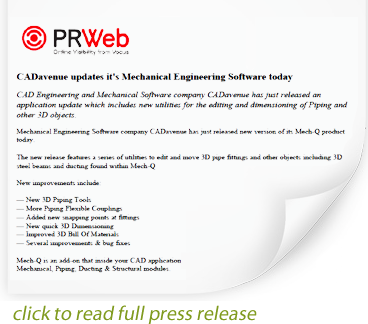 If you are a CAD user in the engineering profession, we’ve got just the add-on you need – and it’s called Mech-Q. And even if you are running a AutoCAD alternative we’ve got you covered. 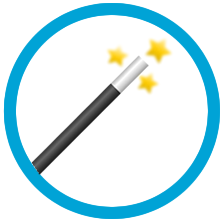 Even more AViCAD features added! Just a quick announcement to let you know we’ve released a new PDF book for AViCAD. 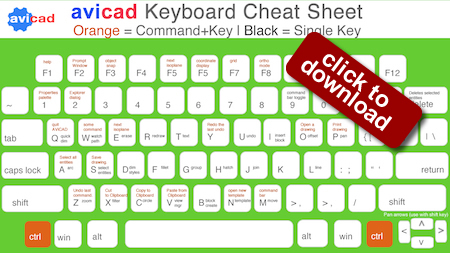 The new book includes a printable keyboard that you can print out for easy reference. Most of these shortcuts will also work with AutoCAD too. Are you a mechanical detailer who’s completely frustrated dimensioning your 3D models? Do you need to dimension complex 3D drawings and just don’t know where to start? If your looking for the best Engineering Software that does it all, then our Mech-Q is where you need to be. Dimensioning in 3D can be a tricky process in CAD. The UCS (the coordinates system used in 3D model space) has to be manipulated so that dimensions are true to their angle an display properly when viewed in 3D. 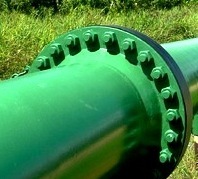 Flanges can be a little tricky to draw by hand in CAD – especially if drawing in 3D. Today we are drawing pipe flanges in a isometric view using our Mech-Q tool in AViCAD. Upon loading the the main piping dialog box from the toolbar or Mech-Q pulldown you can select either single, double line or 3D. In the video example below, we are working with the 3D option. We are happy to inform you that an AViCAD Pro update is now available! Now DWG 2.5-2017 support with quick install and simplified registration plus hundreds of bonus utilities. AViCAD is a IntelliCAD based CAD Application which is rapidly becoming the choice among firms across the USA, Canada and Europe. You will find that the commands and icons and commands will be instantly familiar to you. Its an extremely affordable AutoCAD alternative. Best of all AViCAD is 100% compatible with our engineering software. It features a easy to use drop down menu and toolbar interface that integrates into the CAD program. And AViCAD is fully Compatible with the Windows 8 /8.1/10 too! AViCAD will run on all 32 and 64 bit Windows computers, plus it saves to DWG files by default without the need for manual import or export operations. 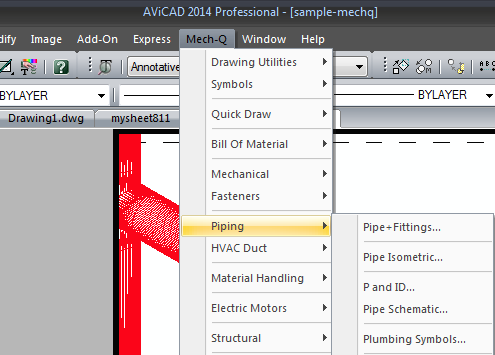 AViCAD is available in both (AViCAD Piping ) or both 2D & 3D (AViCAD Pro). Over the past year our development team have been busy creating an even more dynamic drawing solution with new features and utilities to optimize the design process and enhance the entire drawing process. Explore our new AViCAD version with many new features recently added. After testing the Mech-Q demo I found out that generating piping and structural drawings was a breeze … I can stress that Mech-Q is the best and quickest product in generating all types of engineering drawings. Mech-Q Piping is fantastic, when I draw a Flange for example, it gives me the exact dimension of the part based on what criteria I enter. When doing this by hand drafting its no comparison to what I can achieve with Mech-Q. Paul S.
Ask our online product wizard to suggest the best software solution for you. Discover how Mech-Q, AViCAD and Plate 'n' Sheet can instantly turn you into a productivity machine! Give us a shout today at 888-271-7121 or visit our help desk anytime. Your information is safe with us. We do not share your email or contact details with anyone. Ask us for a quote. 30 day trial - No CC required. Subscriptions and Lifetime licenses available.